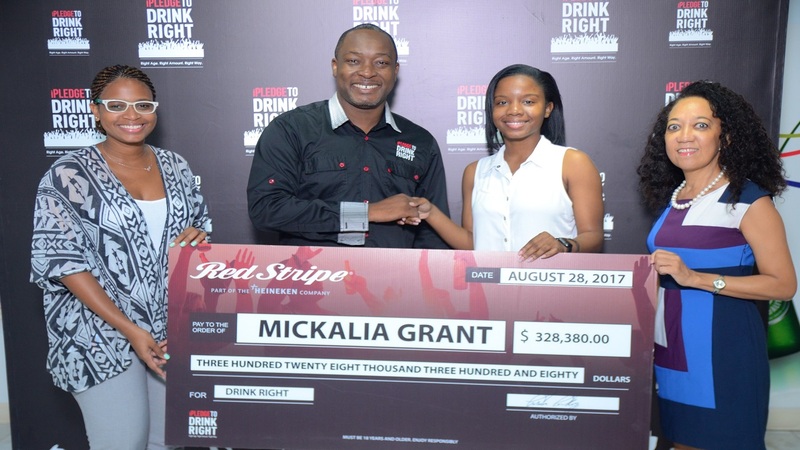 When a young 26-year-old Naasson Brown heard that Red Stripe needed a bartender for its Vibes Sports Club, he did not hesitate to apply, and after impressing his interviewers, he landed the job. 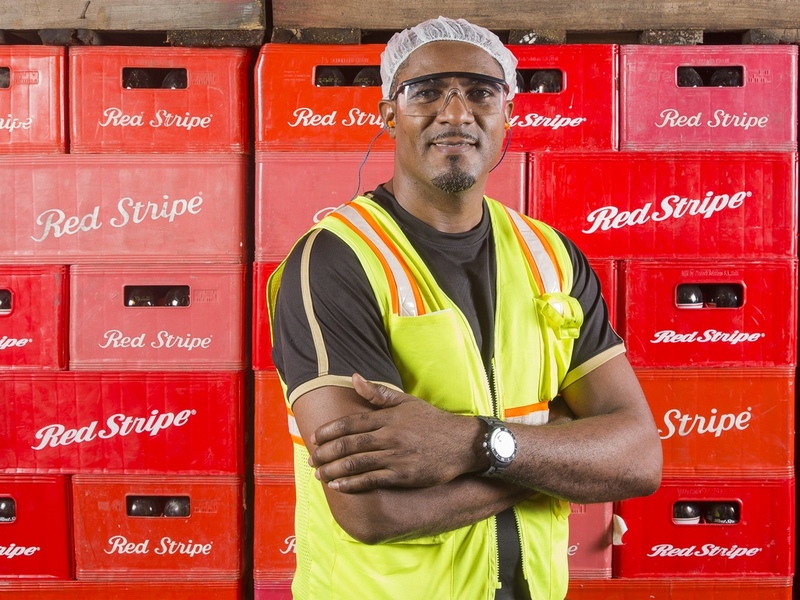 “I had no idea I would be where I am today working in my dream job as a machine operator,” said 42-year-old Naasson Brown, now a Red Stripe employee with almost sixteen years of experience under his belt. Brown’s journey is the classic tale of a humble man climbing the ladder of success. Embracing new opportunities, overcoming obstacles and raising the bar along the way, Brown acknowledges that his years at the beer company are among the most transformative of his life. As a bartender in the Vibes Club, Brown recalls how he interacted with many employees, especially those on the production team. Venturing into this new field, Brown first operated the packer machine which packs beer bottles into crates. He then moved on to operating the labeller, and most recently, assuming a leadership role as a machine operator with supervisory responsibilities for junior staff. 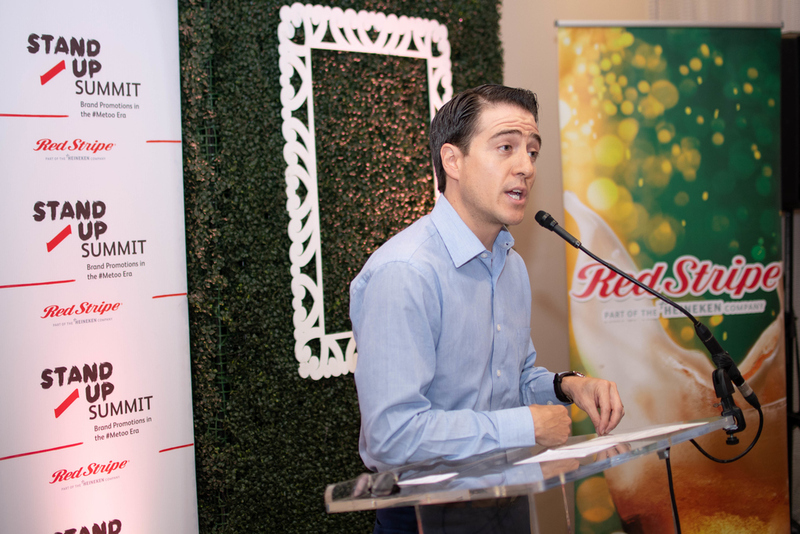 With efficiency as a key mandate to optimise productivity and reduce costs, Brown’s task is to deliver well-oiled production machinery, the engine of Red Stripe’s brewery, producing 26,000 cases of beer daily. Brown boasts about the training opportunities he has got over the years, which have enabled growth in his professional life. “I have been certified in a number of areas. I am a trained and certified ambulance driver as well as a certified First Aider. Recently I was trained as an Emergency Responder. With these skills, I have been able to assist in taking care of minor injuries both in and out of the workplace. I have also helped a car crash victim by tending to her broken leg. My family is also grateful because I am able to help if anything happens at home,” he noted. Brown is confident in his marketability both in and outside of his field of work. 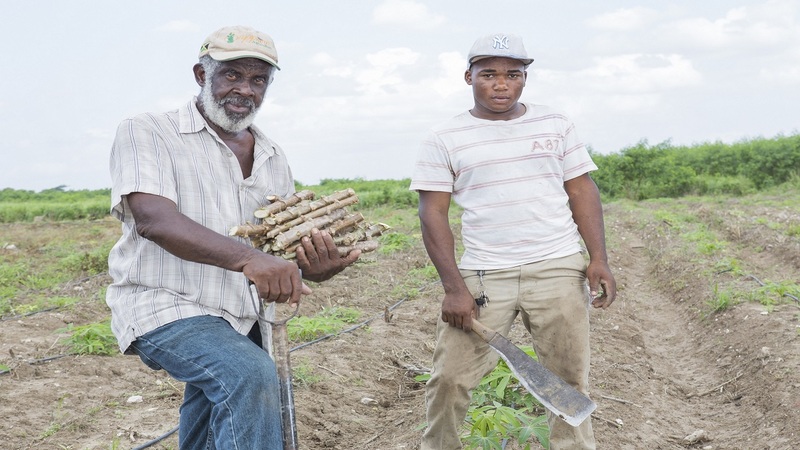 Convinced that Red Stripe has prepared him for success in his future endeavours at the company, he has pledged to continue learning and inspiring the team he leads. One of his favourite motivation methods is to share a positive quote each day. “Naasson is a great team player and team leader. Everyone from packaging to human resources respects him. He’s always willing to help and knows more about the machines than anyone else. If there is a problem on the line, he is always the first person to say let's do something about it and that makes everybody’s job easier. You can count on him to show you anything, just make sure you listen,” said Ainsworth Wright, line mechanic and team member who has worked with Brown for more than 10 years. Brown lives by the advice of his father, that is, to work hard and have fun while doing it. He believes that the enjoyment of work keeps the mind active and inclined to problem-solving, which is essential to being successful in any role.